Social Media: What’s Best For Your Business? LinkedIn, Facebook,…other social media tools. The choices can be overwhelming, and staying up-to-date can be daunting. Yet it’s important that we do. Social media offers an important opportunity for small businesses to connect with their current customers, gain new customers, and help reach their growth goals. But how do we know what social media channels are the best fit to reach our customers? How do we integrate social media into our overall marketing strategy? And what type of content should we share? 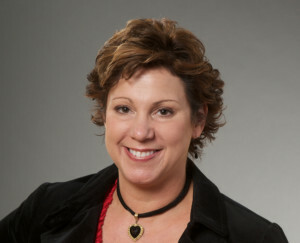 Lisa Landry has been in the marketing industry for more than 25 years. As a seasoned marketing professional and business owner, she speaks regularly on topics of branding, content marketing strategy and using event based marketing and social media to grow business. An early adopter of LinkedIn and other social media channels, she supports her clients to develop and implement effective social media strategies. Lisa believes that the best customer is an educated customer and enjoys sharing her knowledge with everyone who wants to be more Marketing-Savvy! Lisa’s presentation will cover LinkedIn and Facebook, helping us consider how to use social media in way that is most productive for our individual businesses. Knowing that there will be a wide spectrum of experience in our group, she will field questions as they come up during her presentation. Her goal is to provide good tips and takeaways for the novice as well as the experienced social media user. Please join us February 27th to network with guests and members and to learn more about social media.